French deputies asked their country to support any initiative pressuring the Polisario and Algeria to allow the UN High Commissioner for Refugees (UNHCR) conduct a census of the Tindouf camps populations. 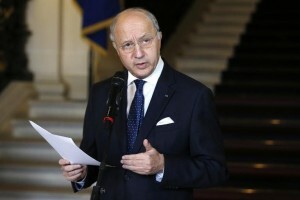 In a petition to the Foreign Minister, Laurent Fabius, fifteen French MPs also called him to ask the European Commission (EC) to ensure that all light be shed on the embezzlement of the European Union’s humanitarian aid by Polisario and Algerian officials that has been going on for years. The French deputies’ petition was substantiated by the damning report made public by the end of Last January by the European Anti-Fraud Office (OLAF.) The report documented several disgressions, including, but not limited to, systematic diversion of the humanitarian aid destined to the Tindouf camps. He also recalled that the European Parliament had asked the European Commission to reassess the EU’s assistance and to adapt it to the real needs of the Tindouf camps populations, and to make sure that the interests of these populations are not harmed. Following OLAF’s revelations that exposed the mafia-like practices of the Polisario leaders and their accomplices in the Algerian administration, many NGOs and personalities, including European and American MPs, have insisted on the need to conduct a census of the Sahrawis living in the Tindouf camps, to fully assess their needs and avoid thus further diversions.